Many of us have bad habits that cause our tooth brushing efforts to not be as effective as they could be. While we all know that brushing twice a day and flossing are the best things to do to take care of our teeth, there are some routines that warrant a second look. By addressing how to properly brush and care for your teeth, and avoiding these common mistakes, your pearly whites can stay healthier. Here are a few tips we tell patient at our Aloha, Oregon dental office on the best practices to use when brushing. Brushing your teeth should take two to three minutes, according to most of the leading dental organizations. It is key to try to reach all your tooth surfaces when you are brushing, as plaque and buildup can lurk in the hardest to reach spots. Some people click on the TV, hum a tune, or watch the clock to help them brush the right amount of time. If you use an electric toothbrush, some models even come with built–in timers on them. Remember to not go too long between brushing your teeth either, as plaque and bacteria can start to grow quickly in an un-brushed mouth. Some people have a tendency to brush too hard, which can result in some serious consequences for your teeth and gums. Overbrushing, also know as toothbrush abrasion, can lead to having sensitive teeth and even receding gums. When you brush too hard it can wear down the teeth enamel down and expose the root areas near the gums. If you are brushing too firmly, your dentist may suggest you use softer bristled toothbrush to make sure you don’t hurt yourself. 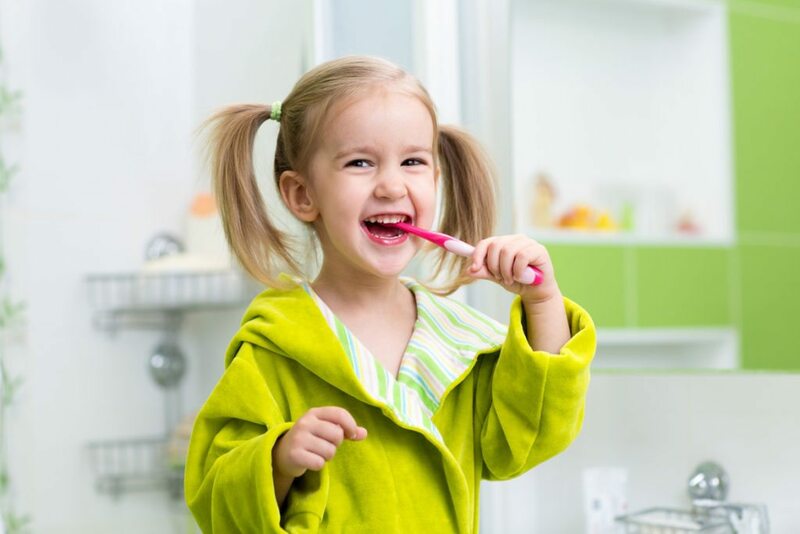 The next time you come for a checkup at our Aloha, Oregon dental office, Dr. Slater can make sure you the right technique when brushing your teeth. If you find yourself rushing to brush right after you meal, it might be best to wait a little longer. Some foods that are high in acids and sugars are known to deteriorate the enamel on your teeth. If you hurry and brush too quickly after eating these types of food, you could be spreading around that acid, and worse of all, even polishing away the enamel itself. It’s best to wait at least 30 minutes after a meal to start your brushing routine. We are all creatures of habit, and many of us tend to start brushing in the same spot in our mouths, going through similar motions each time. However, this could lead to uneven wear and tear on certain teeth and not enough care on other spots. See if you can remember to change it up next time you start your brushing, and give those spots you normally leave till last some prime attention. Since your toothbrush is the most important weapon in your dental health arsenal, it essential to make sure it’s doing its job right. Bristles wear out quickly, and when they do your brush becomes very ineffective. You should replace you toothbrush every three months, according to the American Dental Association, to make sure your teeth are getting the proper care they deserve. Dr. Slater and his staff are always available for your dental health questions, so don’t hesitate to contact Aloha Oregon dental office today.